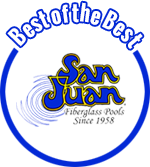 Capitol Pools is an authorized service center for most major brands of inground pool equipment including pumps, filters, heaters, automation, lights, chlorine generators, cleaners, vinyl liners, etc. Please fill out the following information and someone from Capitol Pools will contact you regarding your needs. If your situation is urgent please contact us by calling 608-837-7665.